How I Stopped Bathroom Condensation for Good! Bathroom condensation is one of those things we just put up with because there's nothing we can do about it, right? You just accept that you'll have to wipe the bathroom mirror in order to see yourself and you just put up with that black mould that seems to endlessly come back no matter how often you clean it away. So you might be surprised to know that I had all those issues in my bathroom and I managed to stop it completely! So no more mould, no steamed up mirror and no more water dripping down the walls. First things first, if you’re not entirely sure what causes bathroom condensation read this article first and then come back. If you’re happy that you understand the ins and outs of condensation then keep reading. 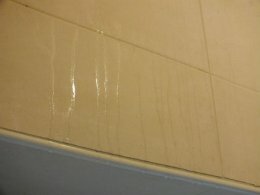 What was my bathroom condensation problem? 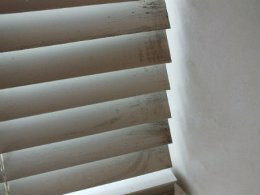 My condensation issues are certainly not unique but they are exacerbated by the fact that I live in an old house with solid walls (so no insulation). That means the surface temperature of the walls is much colder than say an insulated cavity wall (or even and uninsulated cavity wall). Because the surface of the walls are so cold, condensation forms quickly and like most people nowadays I make the issue worse as I tend to use the shower more than the bath, which creates a lot of steam (water vapour). 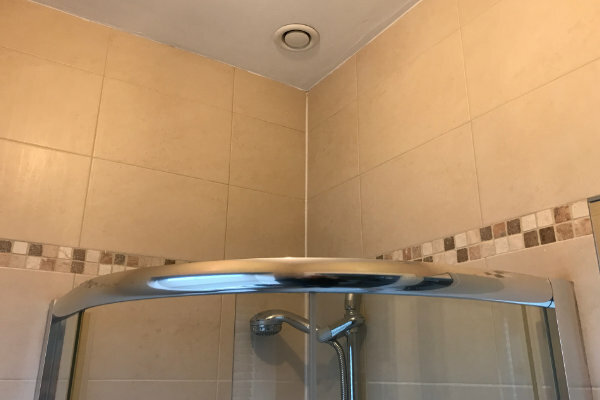 My shower is typical of the many in that it's open at the top, so the bathroom quickly fills with water vapour, which in turn condenses when it comes into contact with the cold walls. Nothing unusual there! ...and you’re right. Once the humidity level in the bathroom gets to 100% it doesn’t matter what the wall temperature is, you’ll get condensation. But if you can keep your walls, and the air in the bathroom, warm, then the air will be capable of holding more moisture before it gets to 100% humidity, so you do have a chance of avoiding, or at least reducing your condensation levels. At this point I could get bogged down in the various elements at play such as the effect of relative humidity and air pressure etc. but you're here to find out how I stopped my condensation and I think it'd just confuse the issue. Instead I’ll just say that if you can make your walls warmer that will help reduce the risk of condensation occurring. In summary; my condensation issue is exacerbated by the fact that my walls are cold and my shower pumps out lots of water vapour into the bathroom. Cold walls - there isn’t a lot I can do to warm the bathroom walls without going to the expense of installing either external or internal insulation. Both of which would have cost way to much to install, so they were a non starter. 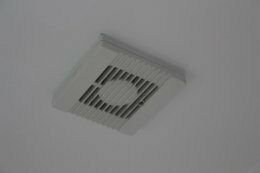 Extractor fan - most homes have pretty basic extractor fans that simply struggle to remove the water vapour quickly enough to make any real difference. 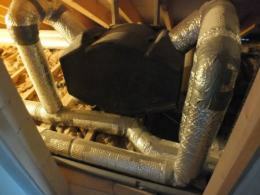 So I had the option to replace this with a more powerful extractor fan or a humidity sensing extractor fan. Shower - initially I figured that there wasn’t a lot I could do with the shower short of buying a new totally enclosed shower cubicle (with a closed in ceiling). But that was ruled out because of the expense and the fact that I don’t see the point of throwing away a perfectly serviceable shower enclosure. Shower Cubicle - a new enclosed shower cubicle was an option but that would be expensive and I wasn’t convinced it would work. It would certainly stop the water vapour getting out of the cubicle while I was in the shower but when I open the door to get in or out all the water vapour would escape into the bathroom. 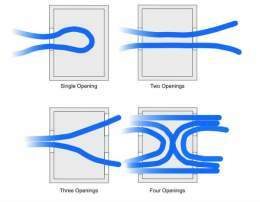 I even looked at different ‘domed’ tops that you can buy to seal in your shower but they presented the same problem as above. 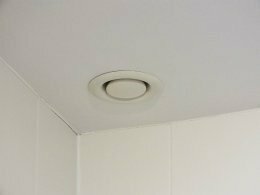 Extractor fan - the extractor fan was an easy first option to try but the original extractor fan was at the opposite end of the bathroom to the shower. So I relocated a new humidity sensing extractor fan directly above the existing shower cubicle. That way it would detect the humidity quickly and remove the water vapour directly from the source rather than pulling it across the entire bathroom. Another reason for placing the new extractor fan above the shower was because I figured if it didn’t work as well as I hoped I could then try to enclose the shower cubicle and use the extractor fan to take the water vapour from inside the upgraded enclosed shower unit. 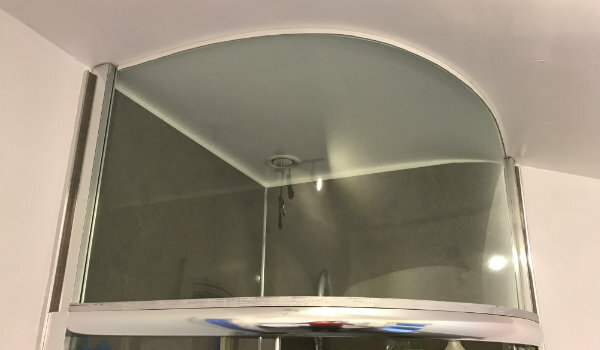 The new humidity sensing extractor fan located above the standard shower cubicle did make a noticeable difference to the bathroom condensation levels. It probably reduced my condensation problems by around 40% (If I had insulated cavity walls that might have been enough to cure the problem but with my cold walls the condensation was still running down the walls next to the shower cubicle as this is an external wall, so it’s one of the colder walls in the bathroom. While I was happy that I’d managed to reduce the problem I needed to do more. So I had a think, drew up a list of things I’d need and hit the internet to buy the raw materials to extend my quadrant shower right up to the ceiling. After a lot of measuring, some bruised knuckles, a few expletives and several failed prototypes (it turns out there are more problem areas that needed to be addressed than I had initially thought) I had managed to create an extension to the top of the shower quadrant. This created a totally enclosed shower with an inbuilt humidity sensing extractor fan. I also wanted a solution that looked professional rather than a botched together DIY item. … It actually worked, and what’s more, it worked really well. Now that I’ve contained my bathroom condensation I can take a shower and when I get out the bathroom mirror is totally clear and no visible condensation on any walls. The brick walls slowly dried out (over around 12 months) and as they did the room got warmer and easier to heat (wet walls are much colder and harder to heat than dry walls). In summary the only meaningful way I found to deal with bathroom condensation, especially if you live in an old house or a house with uninsulated or cold walls is to try and contain the water vapour and then use a good quality extractor fan (ideally a humidity sensing one) to take that water vapour out of the room efficiently. The benefit of the humidity sensing fan I chose to install is it runs at a low level (15 litres per second) all the time to ventilate the bathroom. Then as soon as it detects water vapour it ramps up to a high level of extraction (either 35 or 60 litres per second depending on the humidity level) for as long as required before reducing back down to a minimum level once it detects the humidity levels have returned to normal. Home Page. › What is Condensation. › How I Stopped Bathroom Condensation.